Calvin Goetz, founder of Strategy Financial Group and author of “Climbing the Retirement Mountain,” was recently accepted into the Forbes Finance Council, an exclusive, invitation-only community for the nation’s top executives in financial planning, wealth and asset management, investment, and accounting firms. Goetz was vetted and selected by a review committee based on the depth and diversity of his experience. Criteria for acceptance includes a track record of successfully impacting business growth metrics, as well as personal and professional achievements and honors. 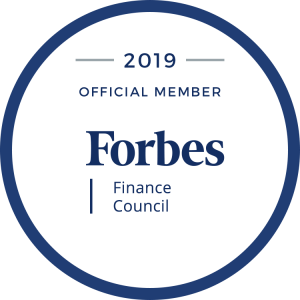 As an accepted member of the Council, Goetz will be working with Forbes’ editorial team to share his expert insights in original business articles on Forbes.com, contributing to published Q&A panels alongside other experts, and connecting and collaborating with other respected local leaders.